Building a custom home is an exciting experience filled with a myriad of decisions to make and details to work through. For those who have previously lived on a typical small city lot, acreage living can raise a few questions concerning utilities. The following outlines some frequently asked questions by customers moving to an acreage homesite to enjoy more spacious living. If you have previously lived in the city, you probably didn’t think much about your sewer system other than paying your monthly bill. Septic systems at King Oaks are designed and installed by your builder for each specific home and are included in the cost of the home. Septic and sewer systems are both designed to treat “black water” (wastewater from toilets) and “greywater” (water from sinks, showers, dishwashers and washers). The main difference is that a septic system is housed individually for your family on your property, while city sewer flushes waste away to a public wastewater treatment facility. There are two types of septic systems: aerobic and conventional. An aerobic treatment system is similar to a conventional septic system, but its process includes aeration and disinfecting stage that creates greywater. The environmental benefit of greywater production is that it can be sterilized and used for lawn irrigation. The greywater is simply sprayed into an area of the yard designated by the homeowner and builder through a sprinkler system. Unlike conventional septic systems, aerobic systems require oxygen, which as a result, requires electricity. Therefore, the operating expense can be a little higher. However, the only maintenance required is adding a disinfecting chlorine tablet into the system once a month. Typically, the septic company includes a one or two-year maintenance contract for new homes and checks your system monthly for you. A conventional system differs from aerobic systems by using pipes laid underground into a designated leach field where the greywater is released into the ground vs. being sprayed into the yard. This requires more upfront labor costs than aerobic but less material costs since there is no storage tank. It’s important to note that over a long period of time (20 years), conventional system pipes can become clogged and must be replaced. Using a city sewer system means paying monthly bills for the privilege. You’ve probably been paying anywhere from $50 to $150 per month while living in the city. With a septic system, homeowners don’t pay for sewer lines. 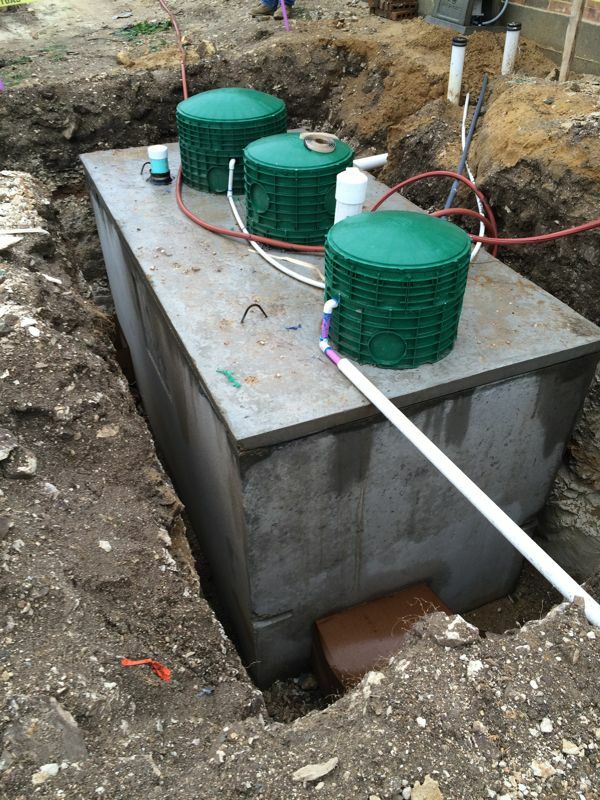 The main cost for a septic system is in the installation, which is included in your home’s construction costs. A conventional septic system typically ranges anywhere from $3,000-$10,000 & sometimes greater, depending on the size of home, the site conditions and local ordinance requirements. At King Oaks, installation for aerobic tanks for a moderately sized home typically range from $5,000-$6,000 depending on the site and tank size. Cleaning and pumping of the tank, which is recommended every two to three years, can cost $100-$300 depending on the size of the tank. Natural gas is no longer the standard in Texas communities today whether it’s a typical neighborhood development or an acreage community. King Oaks, like many neighborhoods, provides underground electric for all homesites. Residents may choose to power their home completely on electricity for heat, stoves and other appliances. However, if you prefer gas for cooking, grilling or a tankless water heater, propane would be needed in King Oaks. Buyers can work with their builder to install an underground propane tank to source as many appliances as they choose. Some prefer it for the stove top while others like the luxury of a gas fireplace. Determining which appliances you’d like to power with propane, if any, is a matter of personal choice. Propane tanks that are properly installed and maintained provide years of comfort and convenience to homeowners. Those who have used natural gas for cooking might be surprised by how much they enjoy cooking with propane because the gas is so energy-rich. Propane and natural gas are measured in BTUs or British Thermal Units — a traditional unit of energy. Natural gas produces 1,030 BTUs per cubic foot while propane produces 2,516. Propane and natural gas are both installed and maintained by a professional. With propane, a tank will be installed on the homesite. Natural gas does not require a tank installation as homes tap into underground city lines. There will be an upfront fee required for a setup of service. Propane tanks are offered in a variety of sizes for single-family homes. Propane companies generally recommend a 250 to 500-gallon tank for homes. A 150-gallon tank may be sufficient for a weekend or vacation home, while a tank that holds up to 1,000 gallons of propane could serve an exceptionally large residence and/or a large family with multiple connections throughout the home. Your builder will coordinate with the propane company to make sure permits are in place and the site is properly prepared. The costs of propane and natural gas vary according to local energy rates but are generally comparable on a monthly basis. The great majority of propane costs are used for heating a home, just as for natural gas or electricity. Heating can account for up to 80% of the cost, so a climate that stays warmer throughout the year, like Texas, will use less and cost less than in other parts of the country. Propane delivery is set up to fill tanks when they get low & the frequency varies depending on usage but many people with a 250-gallon tank have enough propane to last six months. 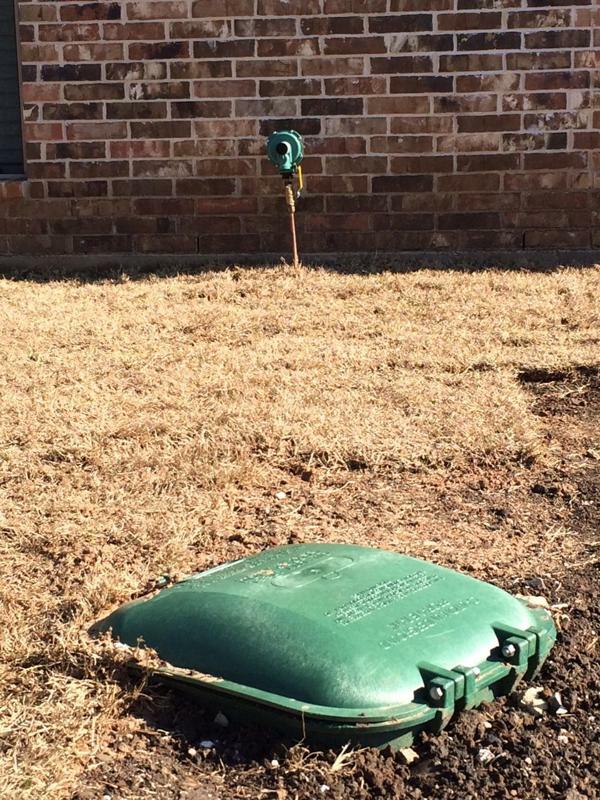 Initial installation of a 250-gallon propane tank costs about $2,500, filled and buried. Each additional fill can cost in the range of $500- $650. Installation for each propane appliance plug could cost between $350-$650. All of these costs, except refilling, are part of your initial build costs and included in your home purcase price.